Dorimar Morales, LCSW is a graduate of the Hunter College School of Social Work and an alumna of the Ackerman Institute’s Externship Program where she received intensive training in family therapy. Ms. Morales has clinical experience in various settings including mental health, child welfare and schools working with bicultural-bilingual populations of various socioeconomic backgrounds. As a Latina immigrant and a speaker of several languages, Ms. Morales has developed an interest in how experiences pertaining to race shapes the inner life of families and couples. As a former theater performer and artist educator, she brings creativity and action to her clinical work. Ms. Morales is currently a Field Supervisor for social work students in training, is an active member of the teaching Faculty at the Ackerman Institute and a founding member of its Multiracial Family & Couples Project. 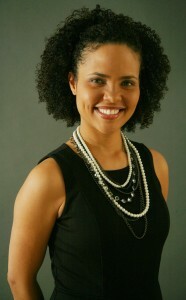 In addition, Ms. Morales maintains a private practice in New York City specializing in families and couples.